Thanks for reading this Fixed: R cannot be resolved to a variable! 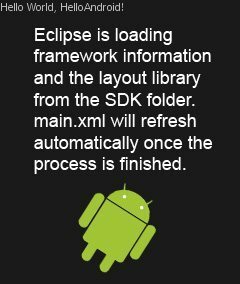 Android Fix: Eclipse is loading framework information and the layout library from the SDK folder. main.xml will refresh automatically once the process is finished. 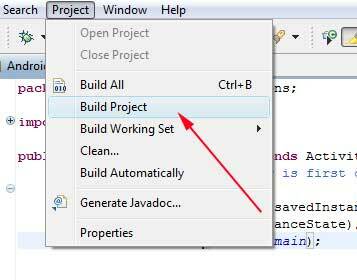 Eclipse is loading framework information and the layout library from the SDK folder. main.xml will refresh automatically once the process is finished. https://www.codeofaninja.com/wp-content/uploads/2016/06/codeofaninja-logo-100x100-op-80x80.png 0 0 Mike Dalisay https://www.codeofaninja.com/wp-content/uploads/2016/06/codeofaninja-logo-100x100-op-80x80.png Mike Dalisay2011-05-10 14:17:002014-04-16 06:43:39Android Fix: Eclipse is loading framework information and the layout library from the SDK folder. main.xml will refresh automatically once the process is finished. 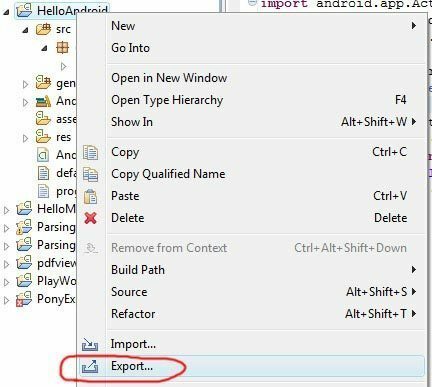 I had a previous post “Getting Started with Google Android Development“ where we installed our development environment. Please refer to that first if you’re not yet done with it. 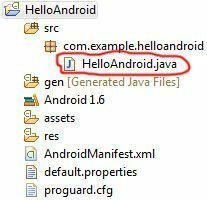 In this post, we are going to do a program that will simply put a “Hello Android!” text on the screen of our android device. This is just a simple “Hello World!” program – just an Android version. Haha! –This value specifies the minimum API Level required by your application. Since I am using Android 1.6 platform for now, we’ll enter “4″. 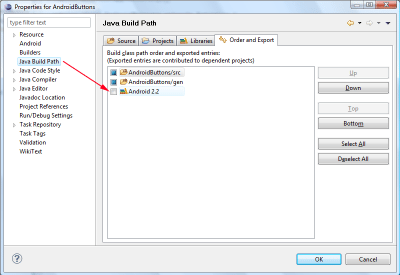 You may now browse HelloAndroid.java and see the code by double clicking it. Change that to these codes. The highlighted codes were added. tv.setText(“Hello, Android”); Displays the text to the application’s UI. To run the application, for now, we will export it as .apk file. APK file is used for distributing and installing bundled components onto the Android operating system. We will now copy the HelloAndroid.apk file to our Android device > Click to install. You should see “Hello Android!” text when you run the application so you know that our exercise works!